The latest instalment in the saga of the slow death of the third-party cookie has created a lot of buzz. Once the adtech industry standard for building a profile of prospective customers, the third-party cookie has now entered a steady phase of decline that is requiring marketers to come up with innovative solutions. The heightened awareness of the intrusiveness of this little line of code that tracks us while surfing the internet has made it the target of legislators. The GDPR has put severe restrictions, requiring explicit consent, resulting in an increase of pop-up windows that ask permission for its use. Despite this, many users grant cookies access to their online lives without attention to the terms they are subscribing to, crying foul when their thresholds of tolerance are crossed by creepy advertising. The task has overwhelmed the content providers, and software providers are getting involved; browsers are moving towards blocking third-party cookies for tracking purposes as default, shifting the opt in to browser-level, not website- or publisher-level. Since the announcement of GDPR, Teavaro has worked with clients to implement strategies that will secure their data assets for use in an increasingly-stringent regulatory landscape (no matter the source of this regulation). Indeed, these regulations have been grasped as an opportunity by many advertisers and media owners to improve their marketing activities, integrate their data assets and move towards a customer-centric strategy. If anything, the addition of further restriction to the “old ways” of third-party cookie-based strategies will serve to accelerate these changes, allowing advertisers to work with what is available to them. Recently, and most notably, Apple has taken a resolute stance by tightening its system of “Intelligent Tracking Prevention” with version 2.0 (or ITP2) on its Safari browser. ITP2 completely blocks all third-party tracking cookies for Safari users. According to Statcounter, the browser’s UK market share is 32% across all devices and 52% on mobile – that’s a lot of missing cookies for advertisers, and thus a lot of missed opportunities. How does it work and what has changed? When Apple first rolled out ITP a year ago it provided a 24-hour grace period to target users or capture data. Google, Facebook or companies where users logged in frequently found a way to work around the issue as the 24-hour cookie was renewed daily. However, the more recent version of ITP showcases Apple’s hard stance on the subject by removing this window completely. This positions the Safari environment squarely against features such as Facebook’s “Like button” or Google’s Remarketing Lists for Search Ads (RLSA), which allow companies to retarget Google users who have visited their site without completing their journey on the shopping cart. But ITP2 is not only a blow to the bottom line of Apple’s giant competitors among tech companies, it affects the digital advertising industry across the board; it hits established ways in which advertisers assessed ROI in the digital space as it effectively shields users’ activities within the Safari ecosystem from prying eyes. ITP2 is, of course, the outcome of a wider revolt against tracking, one in which other browsers will be joining in the effort to provide better user experience and to assuage the public’s concern about privacy and data breaches. For instance, Firefox have been tightening their anti-tracking capabilities. 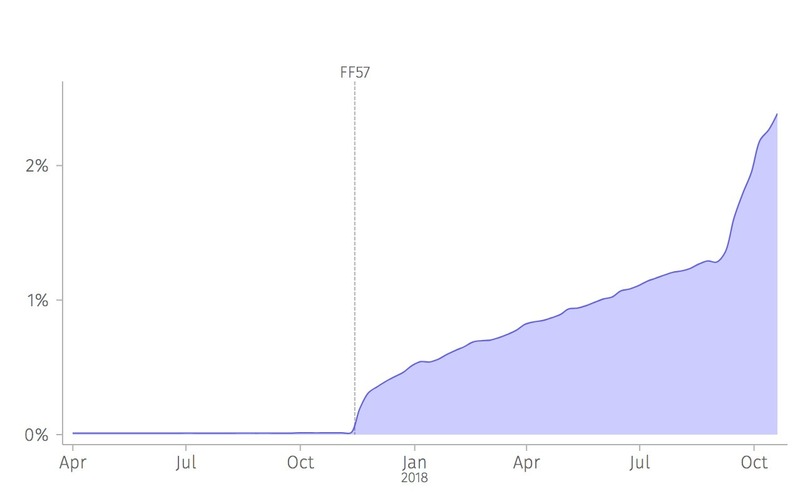 Their latest data report shows a steep increase in the users who have adopted the Tracking Protection featured in Firefox 57 (FF57) since Autumn 2017. The company has now announced the release of an Enhanced Tracking Protection that allows users to block only third party cookies that track, while leaving those necessary to the functionality of the websites untouched. In this way, users are protected from cross-site retargeting without a detrimental experience on their browsing. Having decoupled these two aspects, it is only a matter of time until when Firefox will block tracking by default for all the users, as recently announced. Following suit, both Opera and Internet Explorer have tracking protection features prominently built in the software, even though not deployed by default… yet. Chrome lags behind in this respect, for the obvious reason that Google has a vested interested in helping advertisers track people and serve them ads. (Chrome has a “do not track” request option, which comes with the significant caveat that “any effect depends on whether a website responds to the request, and how the request is interpreted.”) However, given the growing popularity of privacy concerns Google might jump on the bandwagon in some form that harms competitors’ tracking across their network while leveraging on the extensive reach of the Google ID. Third-party cookies have long held reign in the adtech ecosystem, but perhaps not for the right reasons. The simplicity of collecting user information across multiple domains has given power to the technologies rather than the advertisers and media owners that own the customer relationship. This has led to multiple cases of data breaches that have plagued the industry and led to stringent regulation and customer circumspection. As the industry is rocked by the ever more precarious predicament of third-party cookies, now is the moment for marketers to shift to campaigns that run on a different logic. Teavaro has long advocated a strategy that puts the relationship owner at the centre of – and one that now counters the existential threat to – the advertising ecosystem: the first-party cookie. Strengthens online identification – third-party cookies deprecate much faster and thus need to be renewed more often, making first-party more stable for continued identification. 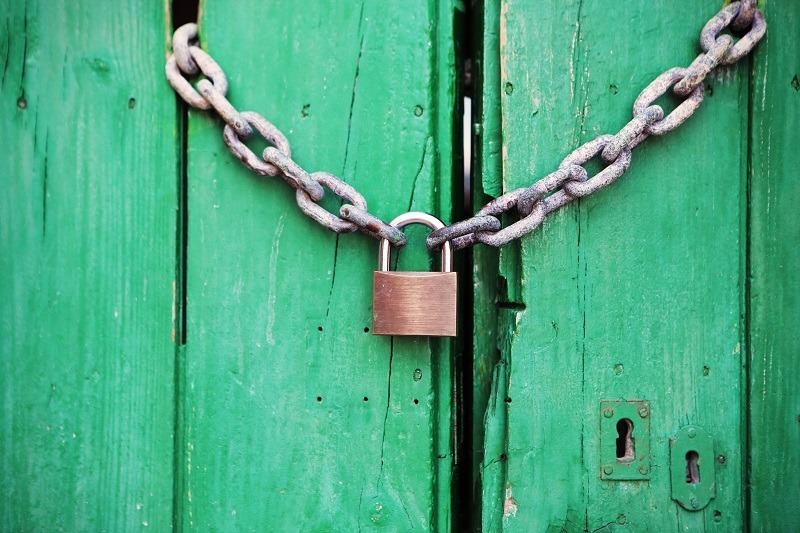 Consumer trust – customers are dealing with the branded domains of the website owner, giving permissions to a company they trust, rather than a list of unrecognised adtech vendors. What does this mean for marketers now? As the trend can only be expected to increase – exemplified by the announcement of Apple and Firefox – marketers should be focusing on a strategy to capture the potential of first-party data to provide a reliable customer profile to enhance engagement and sales. Teavaro has been assisting its clients to adapt to the changing landscape. Offering solutions for identification, data activation and attribution, we support the adoption of a first-party strategy. Our solutions integrate seamlessly with current and legacy architecture to provide a future-proof system that allows our clients to deal with future developments, such as the further degradation of third-party cookie use. By offering a true first-party solution, Teavaro can avoid the ‘false summits’ of noted alternatives who cling to the vain hope of a third-party resurgence. And with exciting developments on the horizon, we hope to unveil the best-in-market data tracking solution to upcoming regulation and browser restriction for marketers whose focus is their customers’ experience.